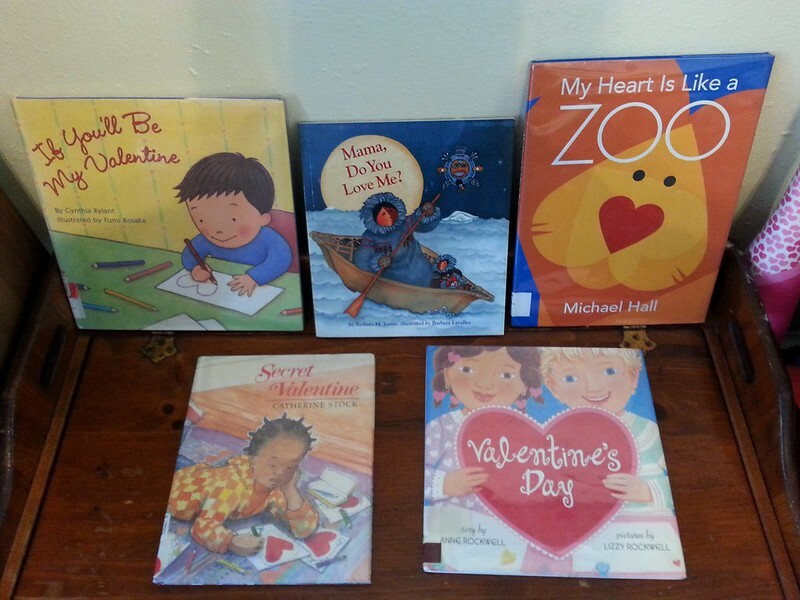 There just aren’t a ton of great Valentine’s books out there. I tried to find a good mix that focused on the basics of the holiday: love, hearts and sending cards! Here are a few that we enjoyed. What are your favorites? If You’ll Be My Valentine, written by Cynthia Rylant, illustrated by Fumi Kosaka (2005). A little boy makes Valentines for his family, friends, even his teddy bear, in this cute rhyming tale. Mama, Do You Love Me?, written by Barbara M. Joose, illustrated by Barbara Lavallee (1992). What better time for a tale of unconditional parental love than Valentine’s Day? This is one of my favorite reads year round – so reassuring to all kids that even if Mama is mad, she still loves you! My Heart is Like a Zoo, written and illustrated by Michael Hall (2009). A simple book that compares the emotions of the heart to animals – but OH SO fun to find all the hearts in the illustrations. Would be a great tie-in with a craft project. A Secret Valentine, written and illustrated by Catherine Stock (1991). A girl and her mother make and send Valentine’s Day cards to family and to her elderly neighbor. In return, on Valentine’s Day, she gets many cards back – including one from a secret Valentine. Valentine’s Day, written by Anne Rockwell, illustrated by Lizzy Rockwell (2000). Ms. Madoff’s class makes Valentine’s Day cards for a classmate who has moved to Japan. While they create, they remember all the fun things they did with Michiko. Note: I tried and failed to find a Valentine’s Day book that featured a Latino/a child. If you know of one, please let me know! A young guinea hen, concerned with his lack of spots, orders some in the mail. The first batch are way too big, the second “too sneezy, too small” (pepper, anyone?). Finally, after a number of misses, the hen finds his spot. They may not be traditional, but they fit him perfectly! 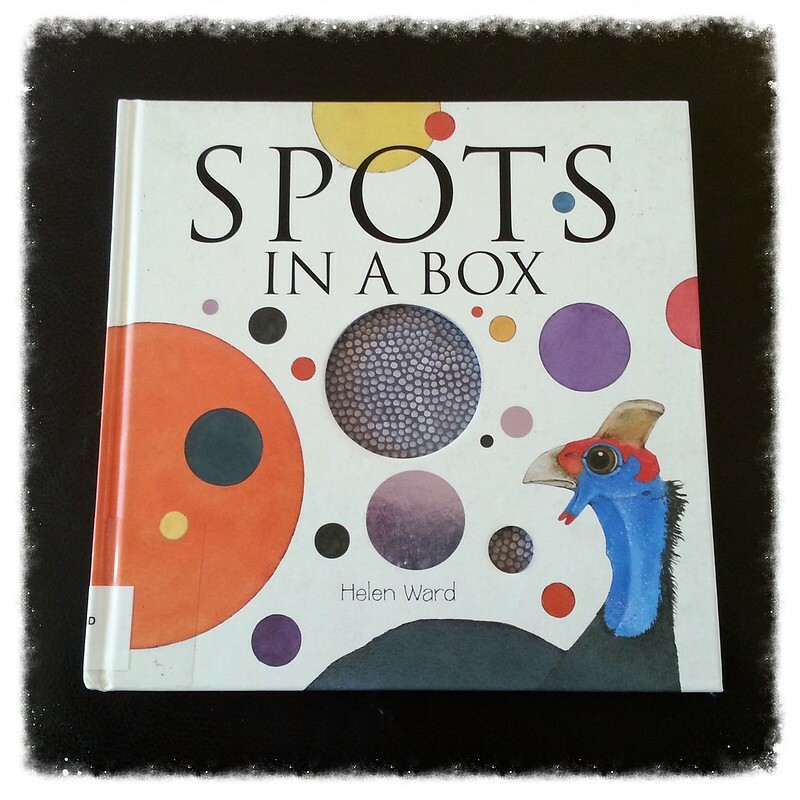 Spots in a Box by Helen Ward is a cheerful, rhyming read.